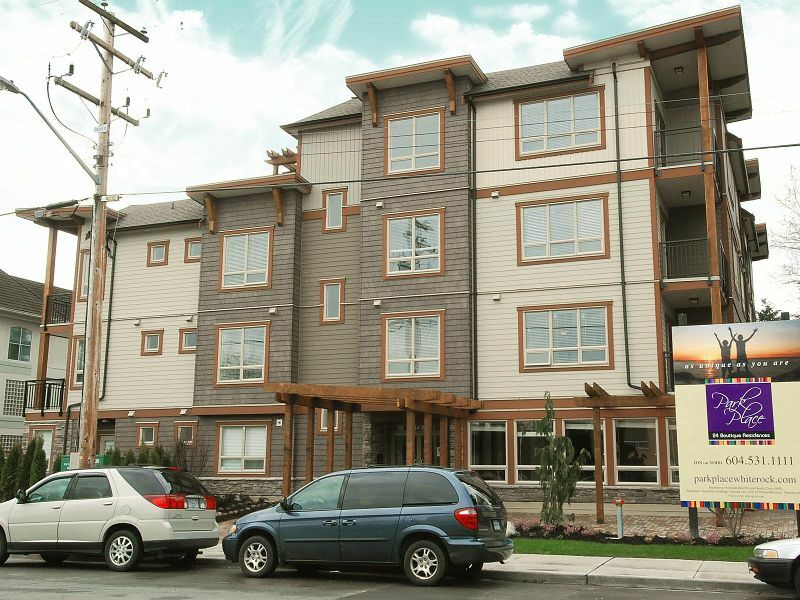 Great 1 bedroom & den suite facing northeast overlooking Bakerview Park! Walk your dog thru the park and trails surrounding. There are only 4 suites left at beautiful Park Place, and this is the least expensive. The builder says "Sell" and is looking at all offers. Park Place features granite, hardwood, high ceilings throughout the building, unique floor plans, bedroom & den with windows, open plan units plus a rooftop deck. New Home Warranty is provided. Bring your offer, bring your Realtor, and we will create a great sale for you! Walk to all the amenities.Starbucks, bus transit to Vancouver, all the basic and retail shopping you could wish for is right down the road..a 2-minute walk!